In 2018, after 10 years of back and forth, I received a diagnosis of a rare disease called confluent and reticulated papillomatosis, also known as CRP. It all began when I was 14 and I noticed discoloration occurring on the trunk of my body. It looked like large patches of bruising. I chose to ignore it and it wasn’t until we were on a family holiday in Portugal that my mother noticed it, and booked a doctor’s appointment. Originally it was assumed that this discolouration was some kind of skin infection, but it didn’t clear up with antibiotic cream so we went back to see the doctor. Long story short we spent the best part of 10 years trying to get a diagnosis. This involved medication that made me feel very unwell and undergoing lots of tests and biopsies. I was discharged in 2014 after the dermatologist told me that he was out of ideas. He said it wasn’t affecting my life enough for him to justify spending any further time looking into it. In 2017 I had a bad flare up. The discolouration was all over my torso and back. Although it was never painful it made me incredibly self-conscious and took a turn on my mental health. As a 23-year-old female I wanted to be able to wear whatever I wanted or go swimming without worrying what everyone was thinking. Not knowing what it was made it hard to talk about when people asked. With the dermatologist’s words in the back of my mind I feared going back to the doctor again in case I really was just wasting time. But we were referred back, and the same doctor that discharged me offered me the chance to see one of his colleagues to see if she might have any other ideas. A few months later I was examined and diagnosed with CRP. I’m likely to be on medication to keep it under control for the rest of my life, but just this month I have been discharged from further monitoring. It’s not curable, but it is manageable. They asked my consent for my case to be published. Even if this helps one more person and their family going through the vicious physical and mental circle we battled for 10 years it would be worth it. I want to thank the Rare Disease UK campaign for raising awareness of rare conditions. 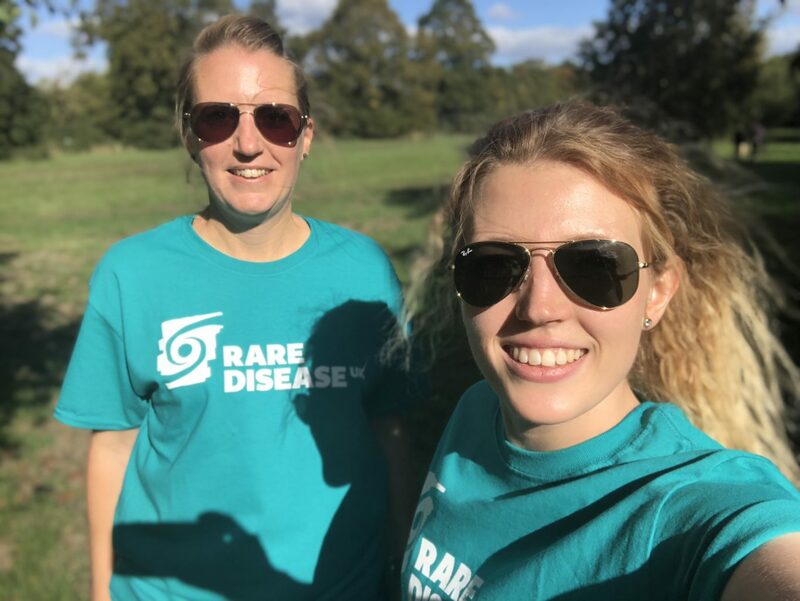 I’m running my first marathon this year with my colleague to raise money and awareness for Rare Disease UK.